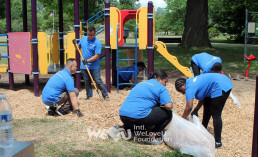 On Sunday, July 22, 2018, close to 30 volunteers from the International WeLoveU Foundation came together to clean Comfort Tyler Park in Syracuse, New York. The idea sparked after Mayor Ben Walsh established an Adopt-a-Block program. The program serves to instill a sense of ownership and responsibility in the city’s residents. Through this, WeLoveU is able to support the city’s initiative while also carrying out the Clean WORLD Movement. The thirty volunteers assembled at the 3-acre park at 11 a.m. Before cleaning, they greeted neighbor’s door-to-door, inviting them to join the cleanup, as well as future cleanups at the park. Afterward, they regrouped in the park and kick-started the cleanup with loud cheers. They chanted, “Make this world better! We’ve got this together!” Though they are small in number, by working together they can accomplish a lot. Not to mention, the volunteers are from different backgrounds like military servicemen, university students, and full-time employees. A handful traveled from Watertown and Rochester while the rest hailed from Syracuse. 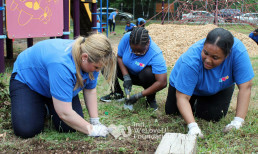 To clean efficiently, the work was divided into three projects: picking up litter scattered throughout the park, removing weeds and laying fresh mulch. 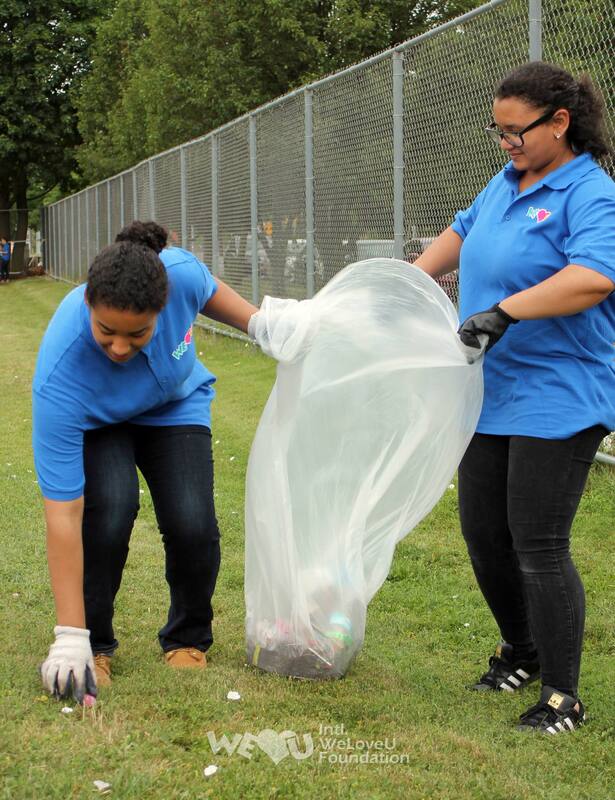 Starting with the litter, volunteers collected all they could find along Comstock Avenue and East Colvin Street—the streets which the park is located on and inside the actual park, too. 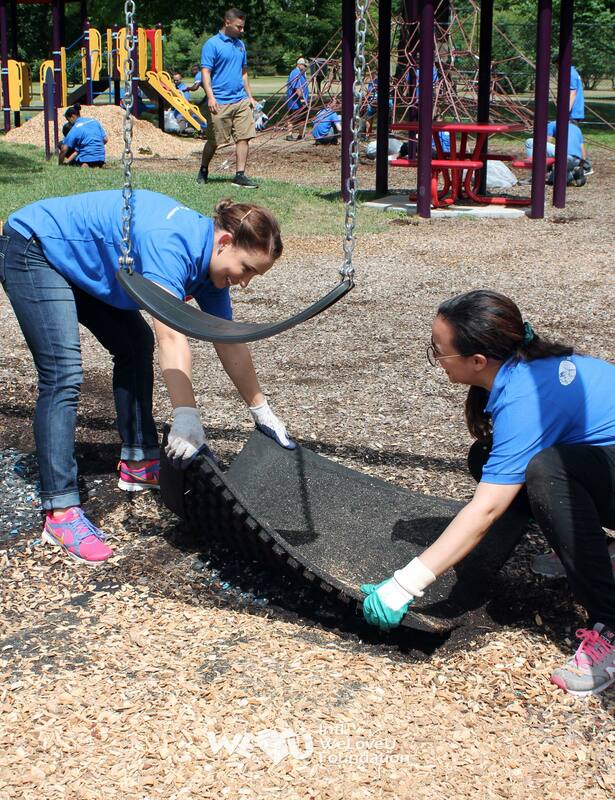 When all the litter was gathered, volunteers began pulling up the weeds that had plagued the playground. Finally, to complete the playground’s beautification, volunteers then lay a fresh layer of mulch on the ground. The mulch was provided by the Syracuse Department of Parks, Recreation and Youth Programs. In an hour and a half, the volunteers collected 24 bags of litter and weeds, leaving a clean park for the Syracuse community to enjoy. The volunteers plan to return next month to clean Comfort Tyler Park again. 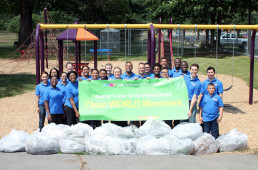 This volunteer effort is part of WeLoveU’s Clean WORLD Movement—an initiative promoting a safe and healthy environment for communities worldwide.